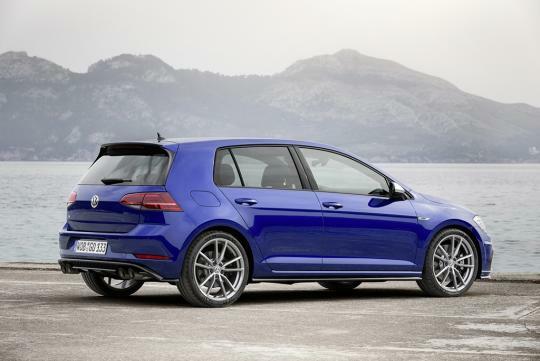 A new Performance Pack for the facelifted U.K. market Golf R has been launched by Volkswagen. It is available to both the DSG and manual versions of the car. The pack includes an upgraded braking system that shaves 2kg off the standard system, a set of larger 19-inch Spielberg alloy wheels and a new tailgate-mounted spoiler. 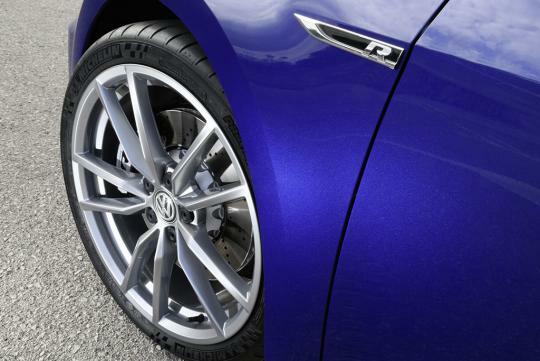 Also included in the Pack is an increase of the hot hatch's top speed to 270km/h, up from 250km/h. For those who want more, they can also specify a new exhaust system that complements the Pack. 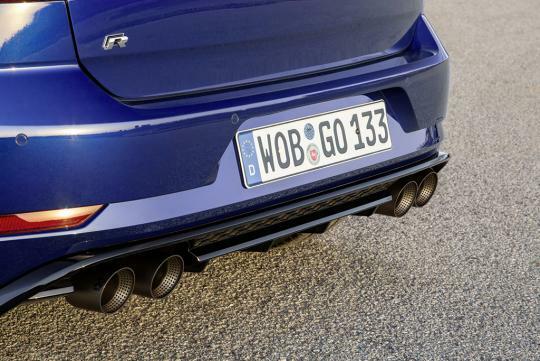 The new exhaust, produced by Akrapovic, features round tailpipes rather than the stock oval ones and comes with a valve control technology that enhances the exhaust sound. It is also lighter by 7kg as compared to the stock exhaust system. make u wonder why its not offered here in SG. I remember VCS even "Detuned" the Golf 7R to just 280Bhp to protect the Engine,while Cooler Cilmate countries get 300 Bhp as Stock. Latest one in Singapore is 290bhp. Still detuned but at least closer to 300.